As a Mom, it has become a natural instinct to always put our children's needs first. Be it food, clothing, education and for our little ones - skin care. It is a priority to keep their skin safe, smooth and well taken care of because that's just how we are - loving. It is a priority to me to keep my son and my daughter's skin cared for. I make sure that I only use products that are tested and are also made of natural ingredients that will ensure it is safe to use on their skin. When it comes to babies - we can never be too careful, right? Recently, I was invited to attend a media launching for a German line of baby skin care product Mann & Schröder. Thanks to The Momma Club for the opportunity too. Now this skin care line is being distributed in the Philippines exclusively by Richprime Global Inc. -Sanosan. 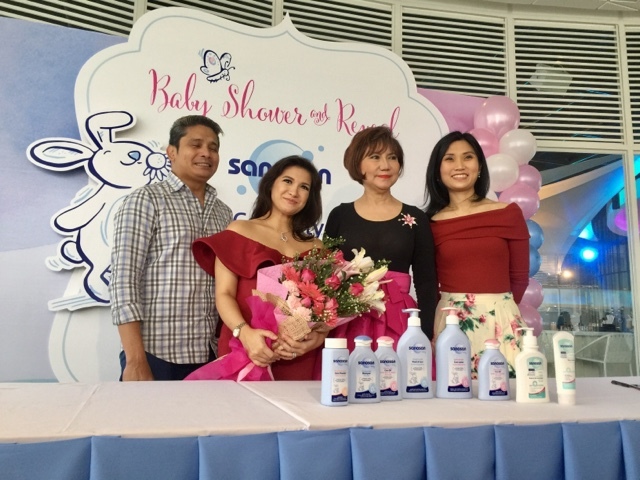 Aside from introducing the product to the media, Richprime also presented to us their new celebrity ambassador who embodies what a caring Mom is like - Ms. Camille Pratts- Yambao. 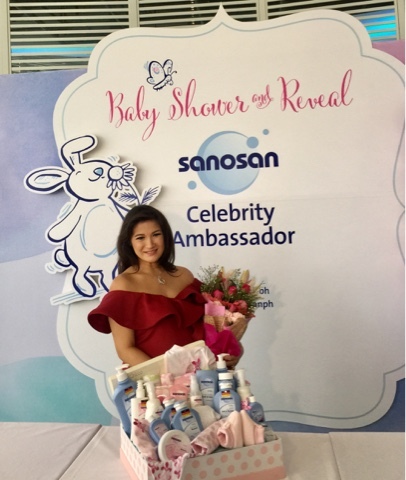 The still very much beautiful and very much pregnant celebrity mom helped add up to the excitement of the event by sharing her excitement and anticipation to use Sanosan for her soon-to-arrive daughter. 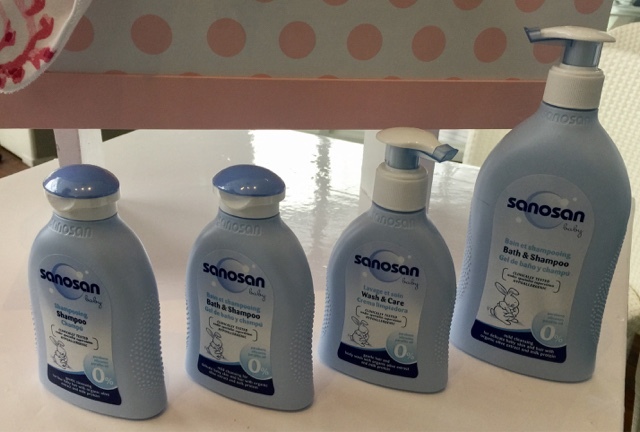 "I'm so excited to meet my little girl na, so that I can start using Sanosan Baby Care Line. I just know that bath time is going to be easier!" She enthusiastically shared, "Mabango sya and since it comes from all natural ingredients, I know I don't have to worry about damaging my baby's skin. Choosing pureand natural products is my way to show her how much I love her, even before she is born." 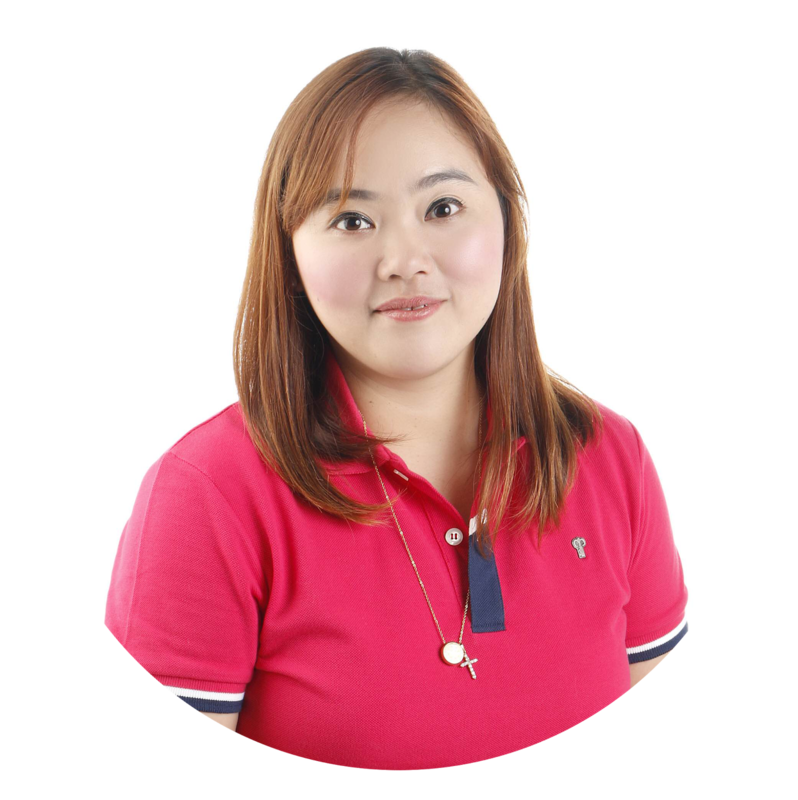 There is also Ms. Myrna T. Yao, CEO of Richprime Global Inc. and Most Influential Filipina awardee, to thank as Filipino consumers can have easy access to Germany's best skincare products for mothers and babies. "We believe that every child deserves a happy childhood," says Myrna. "For orver 30 years, we have served Filipinos who want their kids to grow up healthy, happy, and with a higher quality of life. Our customers trust us to carry products made with the highest standards, without harsh chemicals that can harm children. We've made it our mission to help today's parents gain access to high quality products that will really improve their lives, without breaking their budget." • All products are hypoallergenic and free from parabens and dyes. • It is made up of two of the most natural, effective and healthy ingredients there is - olive oil and hydrolized milk protein. • It has been around for 65 years delivering premium skin care for babies and mommies alike! Yes, for me Sanosan, is one of the best if not the only choice for our baby's skin care needs. Being around for so many years and finally finding it's way to the Philippines means us Pinoy Mommas can make our dreams of keeping our children's skin healthy and safe a realuty. Sanosan Baby Care, Sanosan Natural Kids, Sanosan Anti-stretch Mark Cream, Mom-to-be Oil and Sanosan Mama Care products are available online at Lazada, Baby Company, Kids Company and in leading department stores all over the Philippines. For more info about Sanosan, visit their website and follow them on Facebook or Instagram: @Sanosan. And for Mommy events and latest trends, follow The Momma Club on Facebook and Instagram too.